With that, we hope you enjoy our unique feature this week with BOTH Cam Slaughter and Martin Riddiford of PuttOUT Golf! Unfortunately, Andy Clift, who is heading the PuttOUT Golf Venture and managing the day-to-day of the business was not able to make it. Hey guys – thanks for taking the time with us today. To get things started, we usually like to get a general background. So who wants to start? Martin: My turn… our family had just moved to a house within walking distance of a golf course: Royal Ashdown Forest GC. My parents were both members, and I’m still a member there 50 years later! Thanks for the background. So tell me… when did you first start playing golf? Why’d you pick it up? Martin: Well, I started at about 10-years-old. My mother was a champion golfer – she won two Women’s Seniors Opens. So I had a bit of a head start. She encouraged me to learn the short game before trying to hit the cover off the ball, and to this day, my game usually relies on scrambling rather than consistency. I played a lot of golf when I was at school and during the holidays. I eventually got down to a 4 handicap. Then I went to Art School to study Product Design, and no one else played golf. So from then on, I have played sporadically rather than every weekend. Cam: And I first started playing golf when I was 18. Weirdly, it was basketball that got me into it. 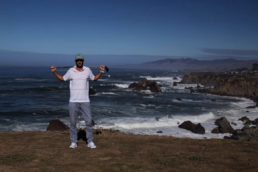 Not just because a lot of NBA players play golf, but I really liked the fact that 1) You can practice golf on your own and 2) It’s all in your own head. If it goes well, it’s because of your hard work. If it goes badly, it’s your own fault. That’s right. So what made you want to start PuttOUT? Cam: I’ll leave this one to Martin. Martin: Thanks, Cam. My old school has a golf society with about 20 fixtures throughout the year, and over the years, I’ve settled into playing in many of the matches. Many times I would turn up for a match or competition having not played for a month, and found my short game to be a little rusty. A few putts on the practice green before playing didn’t help, so I started practicing at home, especially before an important tournament. The key for me was holing out consistently, especially when under pressure. I was taught a good routine for this: You have to hole 25 three-foot putts consecutively. If you miss, you have to start again. You really feel the pressure on those last few putts! Existing home practice targets generally capture the ball, just like holing out on a green. But when you are practicing like this you want the ball returned. So I made various hole-sized ramps to help with the drill. However, as a designer, I wanted to create a “virtual hole” that acted the same way as a real golf hole. I made a ramp to roll balls at a golf hole to plot the maximum speed that the ball could travel when off-center before lipping out. I used this data to shape the edge of the ramp so that a lip-out ball would just fall off the edge. Using this method, a putt that would have gone in the hole would be returned, and lip-outs would fall off the side. I had to adapt the surface on the ramp slightly, as any ball not rolling completely square to the target would easily fall off the side even though it was right in the middle of the hole! I also added a focus point as, in my experience, it is best to pick an exact spot to putt to, rather than “at the hole.” Only a putt which is exactly the right strength and line will stick. 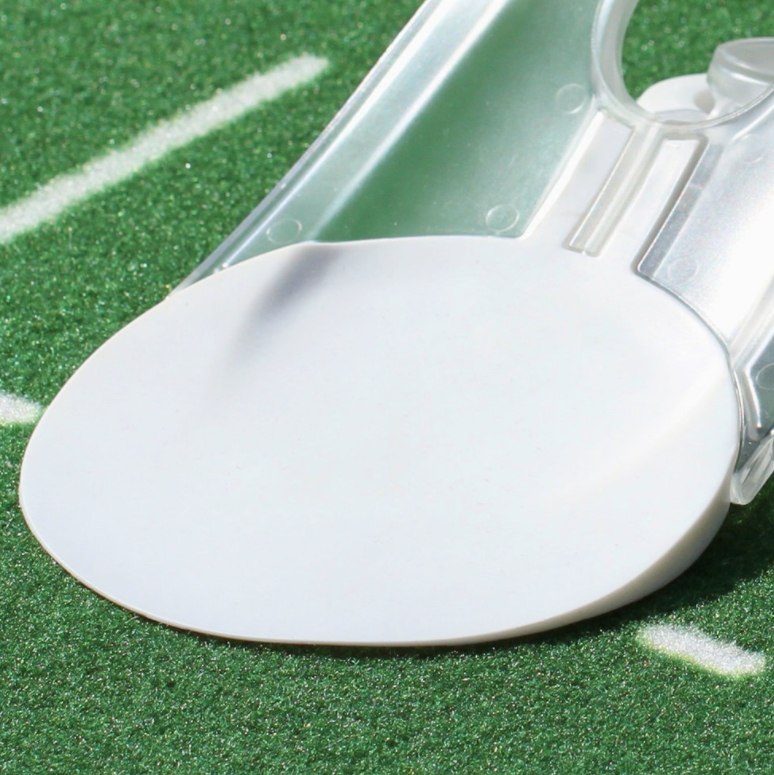 This micro-target is frustratingly elusive – maybe 1 in 10 putts will stick. But it really helps you get in the zone. Martin: I’ll take this one. “PuttOUT” came from merging several ideas. It focuses on holing out. It’s a virtual hole. And, it is “out.” As in, it is not on the putting surface. Finally, it presents a challenge to the user to keep on practicing their putting. Anywhere! That’s the good stuff… We love to capture those tidbits. So, have you engaged in any other entrepreneurial ventures prior to PuttOUT? Martin: Well, I’ve had a long history of design and innovation for many clients over a 40-year career. I founded my own agency 25 years ago – Therefore Design Consultants – and I’ve also licensed many of my own ideas. So it’s a pretty long list to get into! Cam: I started at a very high-end cinema that opened in West London in 2013. The building had a lot of history with the music industry but was going to be demolished and turned into flats. The two owners were locals and decided to buy the building and turn it into something that was exceptionally cool but largely just wanted to provide a place of community for the local area. Less than three years later, it was voted one of the best cinemas in the country largely because the owners valued their clientele above everything else. That’s the closest thing I have to Martin’s thousands of inventions! That’s fantastic. Diverse backgrounds! So, have any doors opened for either of you as a result of PuttOUT? Cam: The introduction of a great product is a funny thing. Sometimes it falls flat for no apparent reason, and sometimes it soars because of all the intangibles that you never even fully appreciated. Something we’ve tried to do so far – and something that we’d like to make a mainstay – is audience involvement. Our fans and followers have been incredibly good to us, and we like to think we’re pretty good at appreciating that. Because of that traffic, we’ve made a lot of friends within the media, equipment, and sales sectors of golf with a lot of prospects going forward. I’d like to give a quick shout-out to Callaway and Mark Crossfield – they’ve been instrumental in our success thus far! What’s your vision for yourselves and your company? Martin: Our vision is to help golfers of all standards get more enjoyment from the game by practicing while testing themselves. 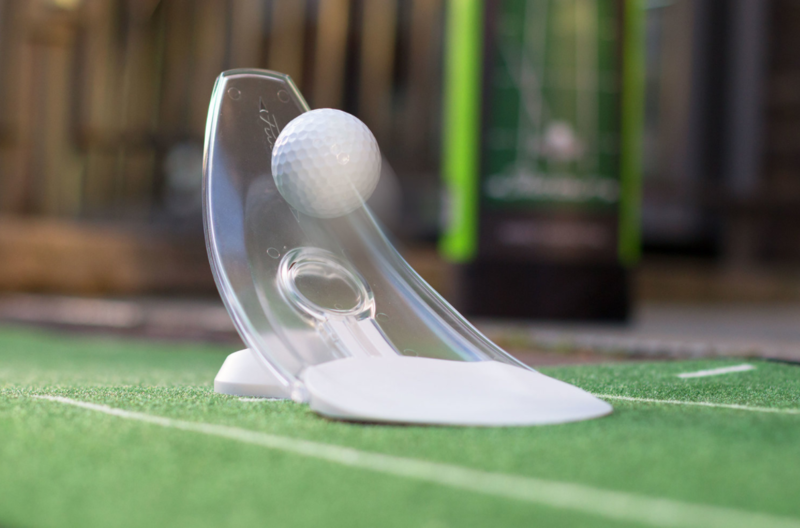 PuttOUT is an excellent way to build confidence in your ability to hole pressure putts. It has also proven to be great fun when used competitively with your mates too! Cam: That’s right. We want to be the leaders in training aids. That’s the first goal in my opinion. Seems like you’re on your way. So, what have you learned from starting PuttOUT? Cam: I’ve learned that, if you have a genuine interest and pretty keen knowledge of golf’s horizon – past and present – it helps when starting out a lot. That and an engaged audience with a good sense of humor can get pretty funny. And how do you engage with your community exactly? Cam: We’re only a year in, so we’ve started small. 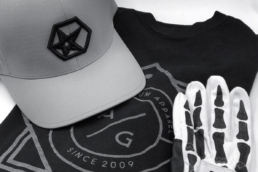 We’ve attended and exhibited at a ton of golf shows and a handful of charity events and competitions, but it’s been a lot to stay on top of, so it’s something we know we can do better. We’ve got our social media following up to around 13k but again, it’s something we want to focus on more as our range and our retail and tour reach grows. Perfect. So now we’d like to jump into our rapid-fire part of the interview. Who is your greatest inspiration? Cam: The obvious answer to this is Steve Jobs, but it’s more the idea of him and what he created in a brand following – not necessarily the person himself. Cam: That all depends on the course. But generally, if it’s competitive, you forget the time and where you are. Martin: Happy to play anywhere. Anytime with anyone. And if you could play 18 with anyone…? Cam: I used to want to someday play golf with Ray Allen and play basketball with Tiger Woods. I figured then I’ve at least got a shot at beating them both. Now I’d say my dad and probably Tiger. The stories and the stingers would be worth the thrashing. Interesting take! 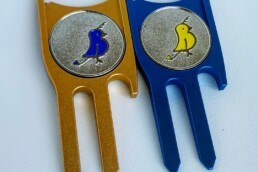 Besides PuttOUT product, what golf-related purchase have you made in the past year that you are most excited about? Martin: A small set of hickory clubs. Cam: Headcovers from both St. Andrews and Royal Lytham. That, along with getting a cool little bag from a friend out in Pebble. Awesome. So as entrepreneurs, what tools do you use to get focused or maintain focus? Martin: Don’t stop until you are happy that all problems are solved. Cam: Get up and walk around. Sitting at a desk is great for grinding something out, but for good ideas, it’s tough to sit still. FYI, Martin stands at his desk so he’s already two steps ahead. Interesting. And how do you each structure the first hour or two of your day? Cam: Wake up. Check all social channels. Get on the tube. Check all social channels. Get to work. Check all social channels. I’m a millennial, but it is my job. Followed by going through the mass of post-it notes of ideas stuck to my desk. Martin: I try to achieve at least one step forward every day. I set myself this challenge every morning. That’s the very first thing that gets my attention. Thanks so much. This has been great!